A chance to be released from the prison of the body’s programming. I’ve come to believe that harmonizing our expanded consciousness with our body is necessary if we are to truly experience bliss in this physical dimension. The body is our space suit (so to speak) and is programmed to respond and interact with our physical world in a way that serves our soul best. The problem is, our missions are changing. Our understanding of how this dimension works has expanded to include everything we need to not only survive, but thrive. It only makes sense, then, that our body (the most physical representation of us on earth) would need new programming in order to line-up to a new reality. This goes far beyond “being healthy and in shape” — it’s about releasing ourselves from all the protective cocoon layers we’ve created as we’ve gone through this metamorphosis. It’s about allowing our deeper, more vulnerable aspects to be “exposed” and harmonized with our life here on this planet. Our vulnerability is a superpower, because it is the catalyst for true change and transition…and we need ALL that we are now — half versions of our Being just doesn’t work anymore. The body is where we store everything about who we are and what we’ve experienced here. It can feel like a prison or a chariot of ascension, depending on our own beliefs about who we are and how the body reflects us. I’m learning that our inner creative energy — our spark – our flow, is designed to transform the body into everything it needs to be for the type of experience we want to have on earth. It’s not about beating the body into submission, but rather releasing into its unique, transformative healing. It’s about surrender. It’s about trust. It’s about feminine magic. 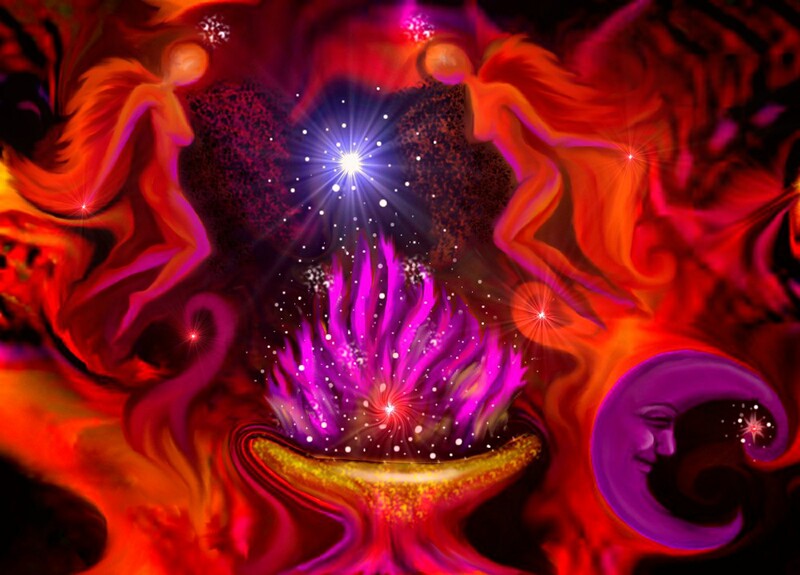 When we connect our sacral chakra energy to our inner knowing/Source Self (and release into the experience of our divinity and our humanity making love) it is an experience unlike any other — the true reason I believe we incarnate into human bodies in the first place. This is a bliss many will never experience because to trust our bodies into a state of total surrender, naturally releases our built-in triggers, programs, and trauma. During the process, we can either stay in a state of surrender and trust (like the caterpillar in the cocoon dissolving into a liquid goop while being transformed), or we can hold on to the identity our pain and survival has given us and resist every step of the way. That is pain. I believe this is why many get sick with diseases like cancer. Our bodies are not meant to eat us alive, but that’s what resistance looks like. That’s what depriving ourselves looks life. That’s what “giving without receiving” looks like. Need I say more?! It’s okay to release into a state of receiving. It’s okay to trust. It’s okay to believe your body, the Universe, and the Source energy within you wants to GIVE to you. Its okay to accept that gift. I’m still removing “protective” layers I’ve had for a long time — they were my survival up to this point, but are no longer needed. My physical body is learning to trust all of me, and I’m learning to trust my body. It feels like a deep cleansing of the DNA and healing of the trauma I’ve experienced as more expanded aspects of my consciousness harmonize with my physical form, and “lower” (sacral chakra stuff, especially) rises up to create me anew. Baptism by fire. We must be gentle with ourselves. Make sure to tune-into what is *REALLY* needed. What feels harmonious and self-loving? Let yourself receive it. Not in a way that says “I allow myself to feel pain” but rather in a form that says “I give myself permission to receive pleasure” — the kind of pleasure that comes from the healing only our Goddess nature can bring — the healing that comes from our Sacral Chakra — our creative and restorative energy. 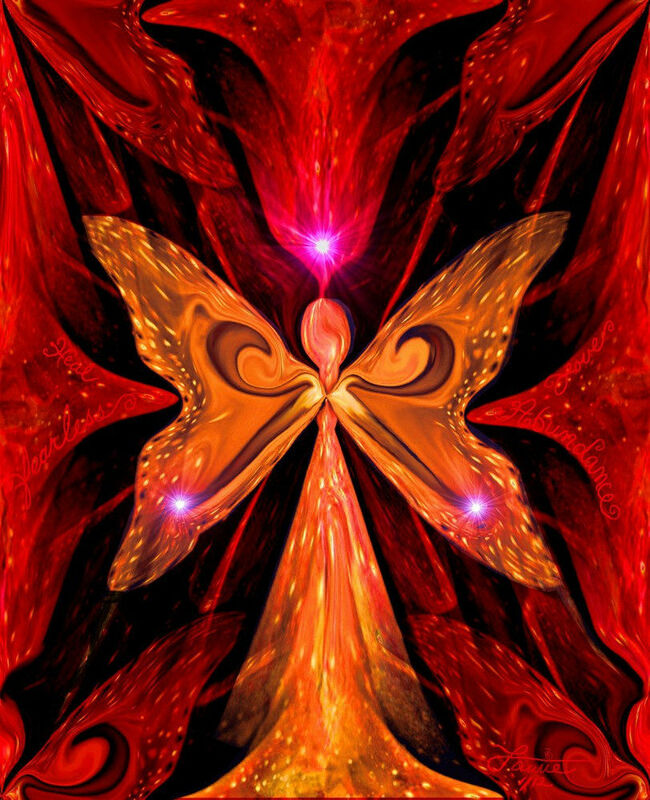 Aligning with our sacral chakra energy is about receiving and trusting our feminine nature. In the process, old programs will inevitably come up for release. It’s important not to identify with your thoughts OR emotions. Just let them be released and FEEL the catharsis — the “pleasure” that follows the healing. This is what sexual energy does. It’s not “dirty” or “low” or even “fleshly” — it is Divinely nurturing and awakes us to our deepest desires/passions. The transition from a life of surviving to a belief that it’s possible for us to thrive is a form of release that can be experienced with resistance or flow. Let’s not demonize any version of ourselves. We are human — a mix of vibrations compressed into physical form. There’s no need to judge any part of us in our desire to grow and expand. Harmony in this experience is possible if we release our need to be right or perfect. We just are. Allow. Trust. Surrender. Receive. That’s the formula. I think the magic we’re unfolding is unlike anything this planet has ever experienced. Our “job” is not to “DO” anything — but to BE in love with every aspect of what we are — to make love to this Universe by receiving ALL of what we are (and trusting it). I keep feeling the need to take it slow so I can unwrap every nuance of this experience like a unique piece of magic, rather than a chore to be done or a test to pass. Let’s treat ourselves that way — like dazzling treasures of darkness, not problems to be fixed. That paradigm is ending. The real question is, what do we do with all this creative/restorative/transforming energy? Beautifully said Amanda. I agree with your thoughts and am having the same experiences at this fun and wild ride of a time.